Just paste a code on your website (or Facebook page) and customers who visit it, may request reservations or online bookings at your nursery. 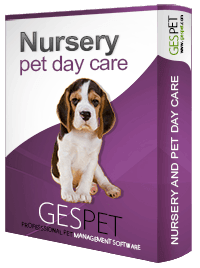 Your competition is already using it and you are probably missing out on a great opportunity to get more reservations in your pet nursery. You can see, for the selected day, the scheduled bookings, the hotel services (o stayed), the number of check-in and check-outs.